What Makes Customers 'Click' and 'Buy' from a New-to-market e-store? Key challenges facing internet-based retail start-ups include making their e-store a destination of choice for customers, encouraging shoppers to browse the site longer and increasing the probability of purchase. A recent industry report suggests the browser-to-buyer conversion rate is as low as three per cent for e-stores. New e-retailers that enter the electronic marketplace every day find this situation more challenging because they have limited product offerings, have no established brand image from their previous ventures and customers do not know them. In this lecture, Professor Nath looks at how e-store start-ups can attract prospective buyers and improve their customers’ browsing experience using two tools: interactivity and personalisation. He also explains how e-stores can tailor their offerings based on buyer characteristics. The lecture also provides advice to e-commerce managers on how to build a dynamic web interface that can maximise sales. 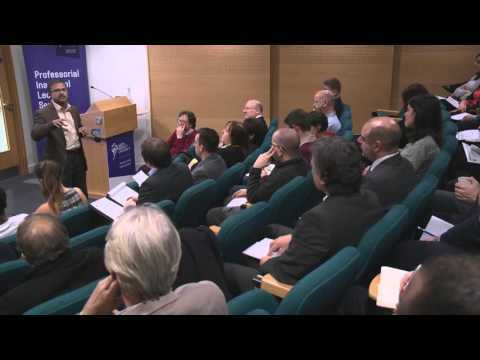 Prithwiraj Nath is Professor of Marketing at Leeds Business School. After studying Physics at Jadavpur University in Kolkata, India, Professor Nath completed his PhD in Marketing at the Indian Institute of Management, also in Kolkata. He was Assistant Professor in Marketing at XLRI – Xavier School of Management in Jamshedpur, India, before moving to the UK to work at the University of Nottingham. In 2010, he was appointed Associate Professor in Marketing at Norwich Business School at the University of East Anglia. He joined our University in March 2015 as Professor of Marketing and he also serves as Associate Director of The Retail Institute. In his current role, Professor Nath is involved in several industry-based projects and leads research on the theme of “Consumers of the Future”. He particularly wants to understand how consumers make buying decisions in an ‘online’ retail context. His current research centres on the use of big data in digital marketing, with a focus on the retail and banking industries. Firms often struggle to understand the buying triggers of their customers and how to offer them a superior buying experience online. Professor Prithwiraj Nath explores how firms can build relationships with their customers, instil trust and commitment, and how online reviews can influence the buying process. He uses various quantitative research frameworks to analyse how consumers search and process information online, and how retailers can offer a dynamic and personalised user interface that helps consumers to make correct choices. Professor Nath has published research papers in several best-selling marketing and management journals, including Industrial Marketing Management, the European Journal of Marketing, the Journal of Travel Research, the Journal of Business Research, the Journal of Services Marketing, the International Journal of Production Economics and the Journal of the Operational Research Society. He is on the editorial board of four journals and he reviews research articles for several marketing journals and conferences. He has led many research grants and he has conducted several training programmes for industry managers in the UK, in India and in the United Arab Emirates.